It’s not about the technology; it’s about creating an experience. We are living in an exciting era in which technology has the capability of enhancing a customer’s experience at a large scale like never before. Today, the wearable technology market is booming with innovation and companies are seeking to understand which tools they should use to enhance their customers' experience. Too often, brands fall back on designing programs that save customers money (at the expense of cutting margins) to address loyalty. While everyone loves saving money, these new advances in wearable technology are examples that loyalty can go beyond financial discounts. Ultimately, loyalty is embedded in a great customer experience. As of today, bracelets have been the most prevalent wearable, offering an array of use cases from fitness and medical to business and communication. Not new to the scene, Walt Disney Resorts and Theme Parks announced in early 2013 a 2-year pilot debuting their bracelet wearable technology, The Magic Band, after a reported $1B investment. Recently, I visited Disney World with my family was able to experience the Magic Band firsthand, and I left impressed. As Disney competes in a market with other entertainment options for families from Universal Studios to LegoLand, they need to continue to build loyalty. MagicBand is a strategic platform driving loyalty forward in a new age. Specifically, by building robust customer insights in a centralized location, enhancing the customer experience by reducing stressful planning, and creating access to exclusive events and experiences. 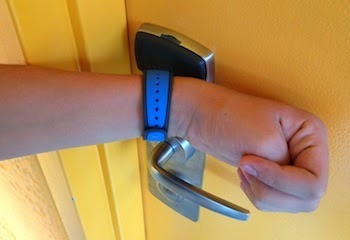 In short, by designing a convenient, fun and even stylish wearable technology that seamlessly integrates with each guest’s total park experience, Disney has reduced friction and enhanced the overall experience pre-, during and post-visit. And the band is mine to keep, a little reminder sitting in a dresser drawer that maybe it’s time to bring the family back to Disney World. Open hotel rooms by tapping the Mickey icon against the door key pad. The MagicBands are personalized for each guest. Of course, Disney never misses an opportunity to merchandise. 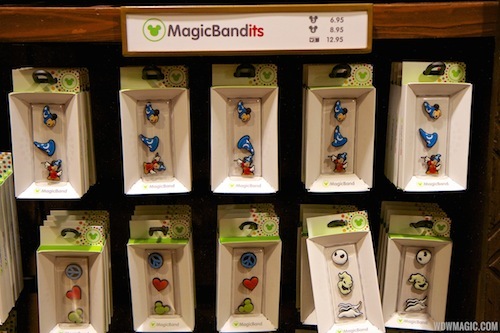 The bands can be used to pay for items in the park by tapping them against payment pads at any point-of-sale. The bands are non-transferrable and used by one person only. Bands can be disconnected from your account if they are lost or stolen, and purchases are limited to $50 unless a pin code is entered. As an extra bonus, when traveling with children, parents can set limits on how much each child can spend, if any at all.